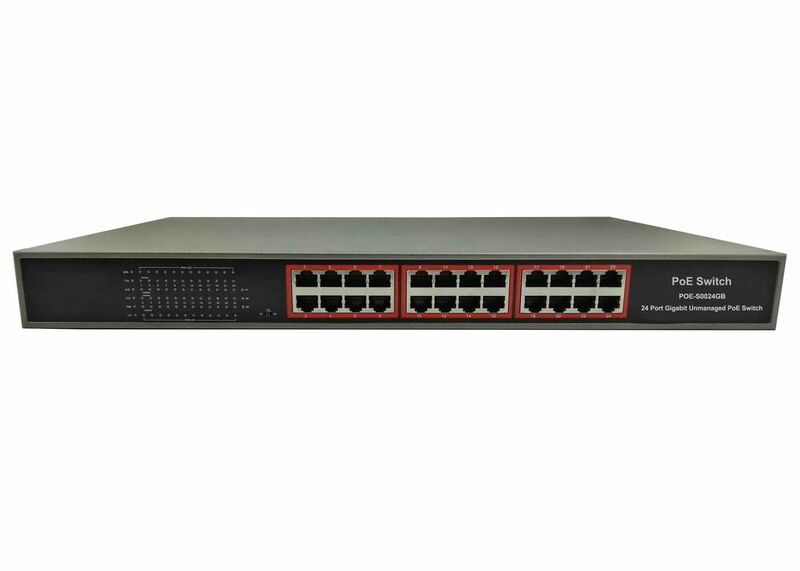 POE-S0024GB, is 24 port universal gigabit unmanaged Power over Ethernet switch, any one or more of these PoE ports can be used as uplink. It’s IEEE802.3af and IEEE802.3at compliant, powered by 350W built-in power supply, average output power will be 15W at least and max 30W, transmit through pins 1,2,4,5(+) and pins 3,6,7,8(-) over Ethernet cable and require cat5 least or higher quality ones, which will ensure the least power loss in the transmission. 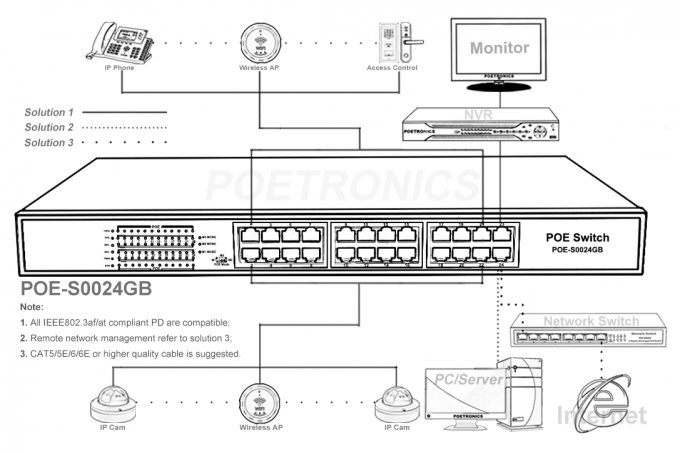 There are three kinds of switchable system modes include free communication for all ports, network clone solution, aggregating switching mode. It also comes with rack mounting kits that enables it easy to be installed on rack or cabinet. Finally, it’s applicable primarily to IP CCTV camera, VoIP phone, Wireless Access Point, Portable device, Access Control or other PoE compatible PD (Powered Device). Auto MDI/MDIX, Store-and-forward, 52G Bandwidth, 4.1M cache. Max 30W for a single port, total rated output power 350W. Plug and play, self-adaption, lightning protection, 19’’/1U rack mountable. POE status can be read and analyzed through LED indicators on front panel. System Mode Setting M1: Network clone, increase network cloning speed in gigabit network. M2: Free communication among all ports, apply to universal data exchange. M3: Aggregating switching, work with an uplink port and central device.